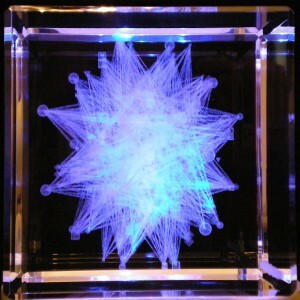 Crystal | Visualizing a Theory of Everything! 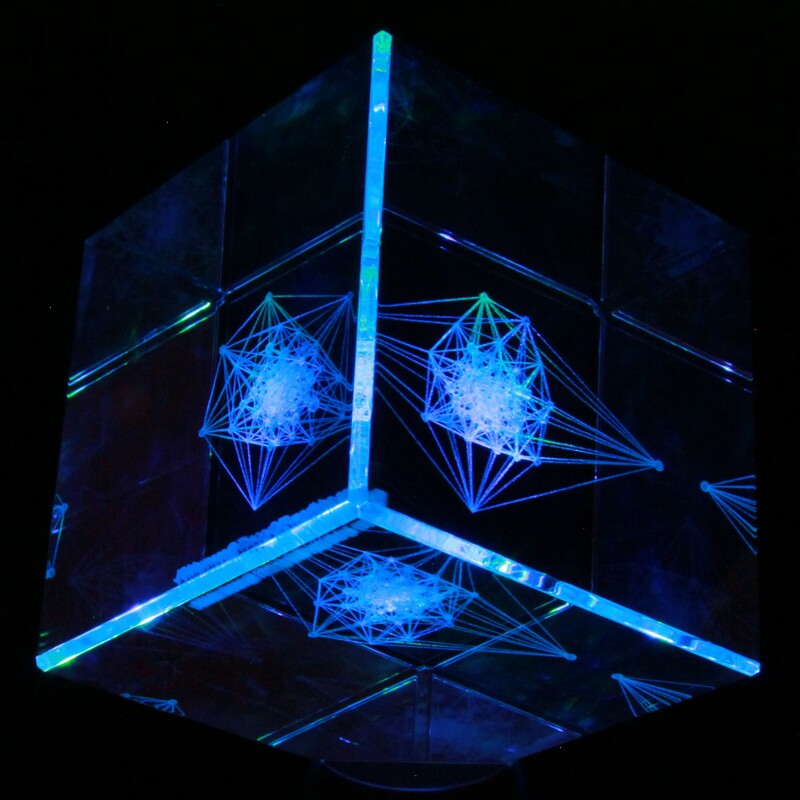 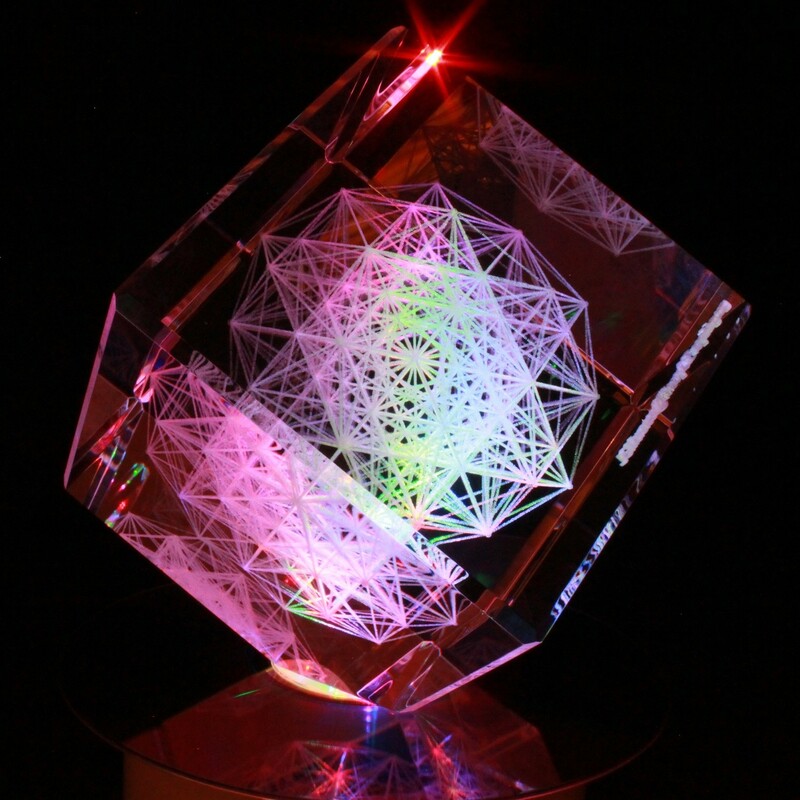 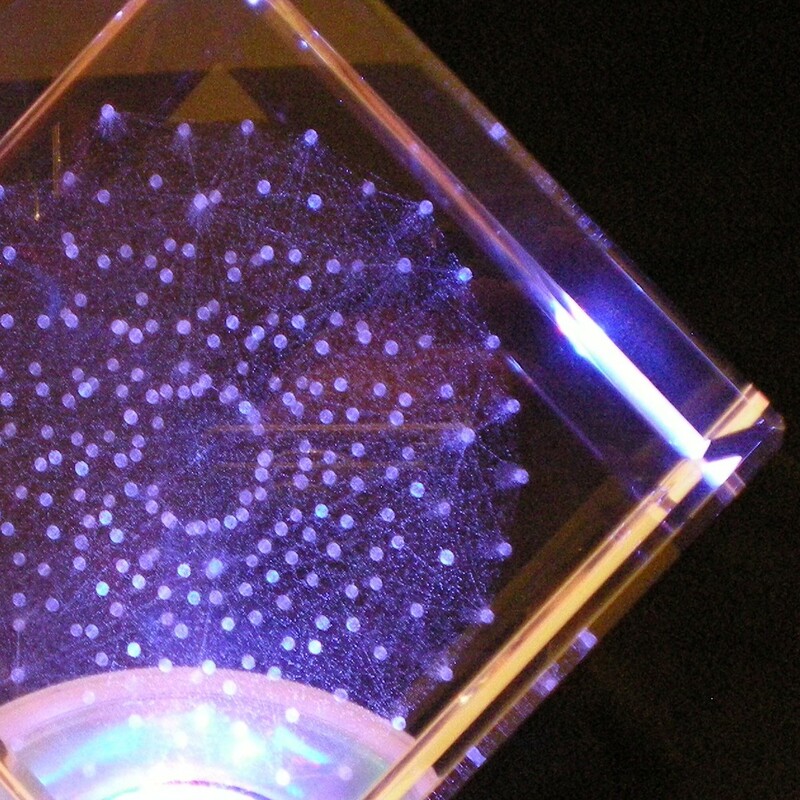 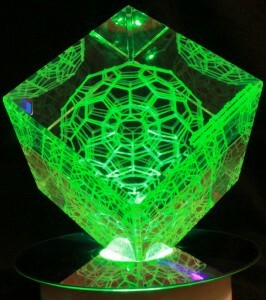 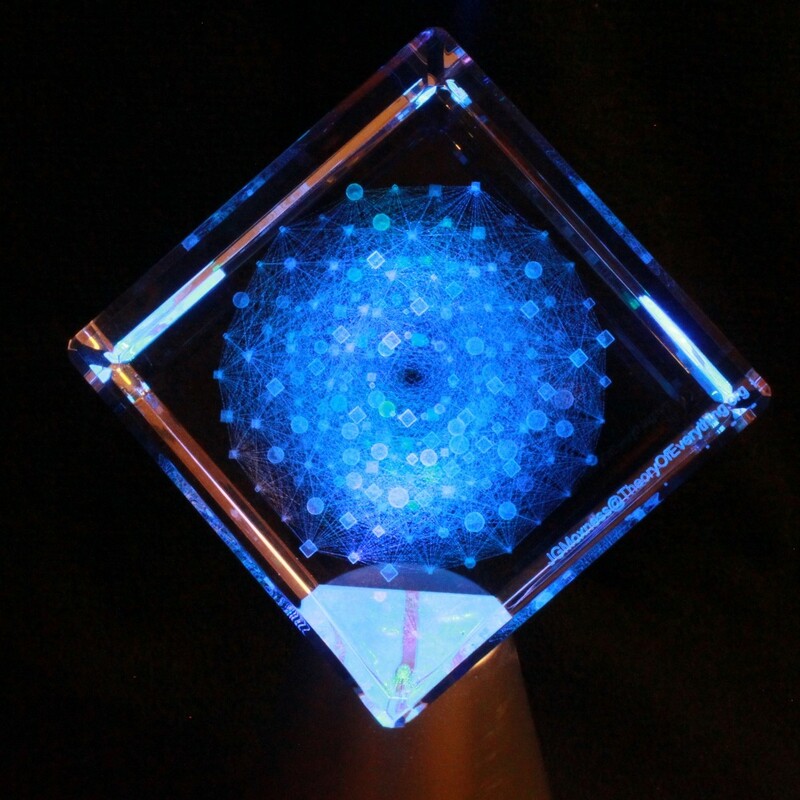 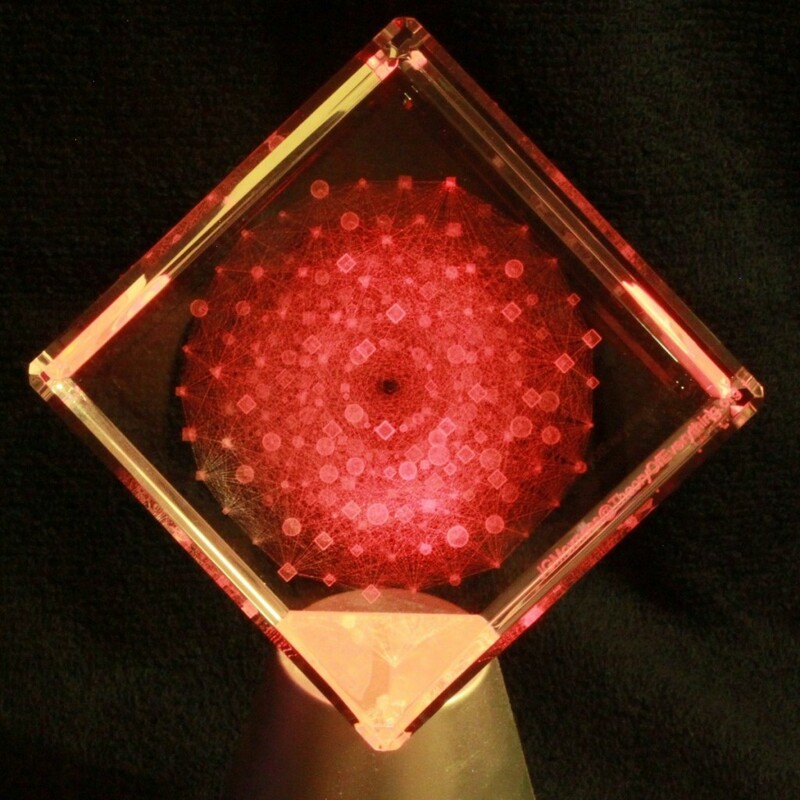 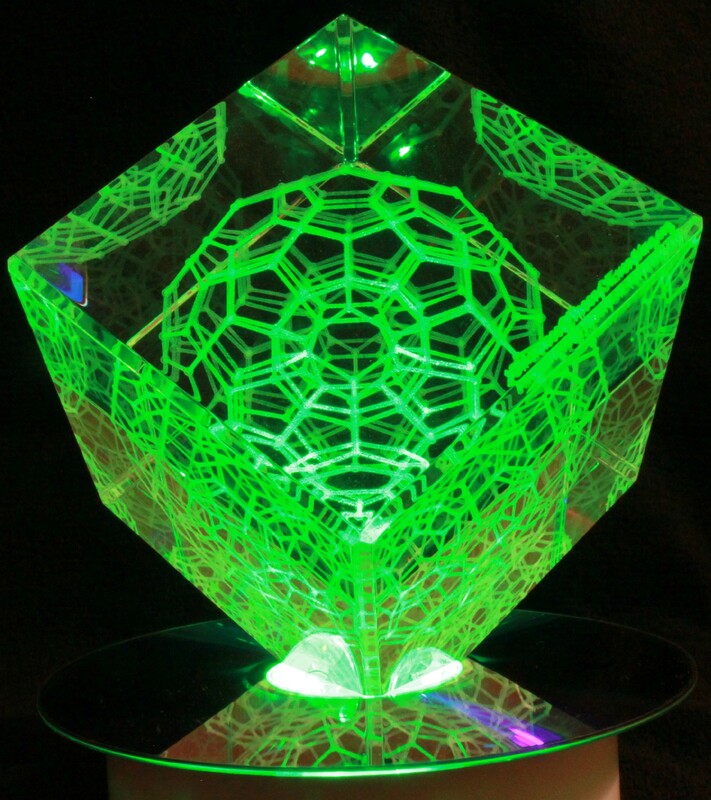 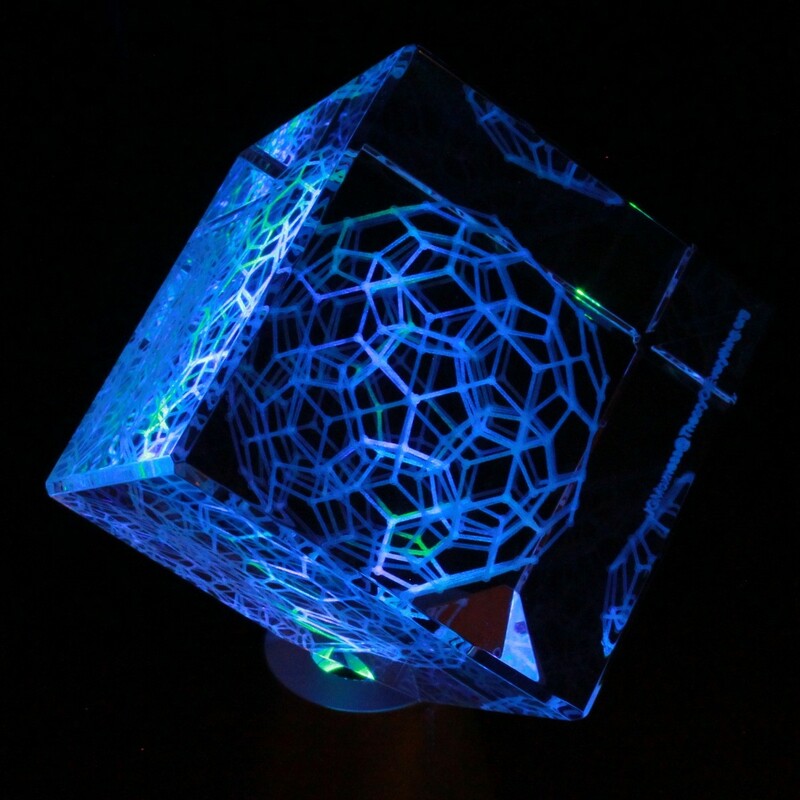 I finally got around to watching the Avengers movie and noticed that the Tesseract Cosmic Cube looked much like the hyper-dimensional projections that I make with laser etched optical crystal. 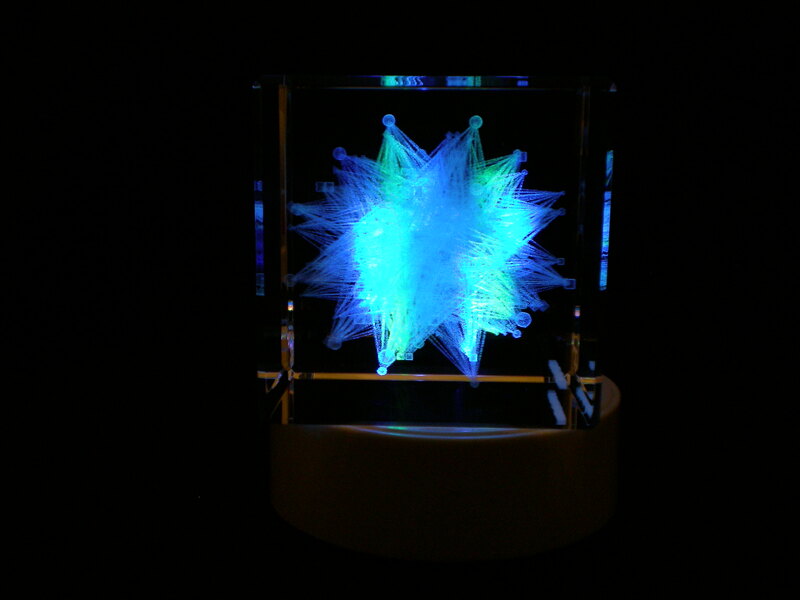 The blue light is projected from a multi-colored LED base. 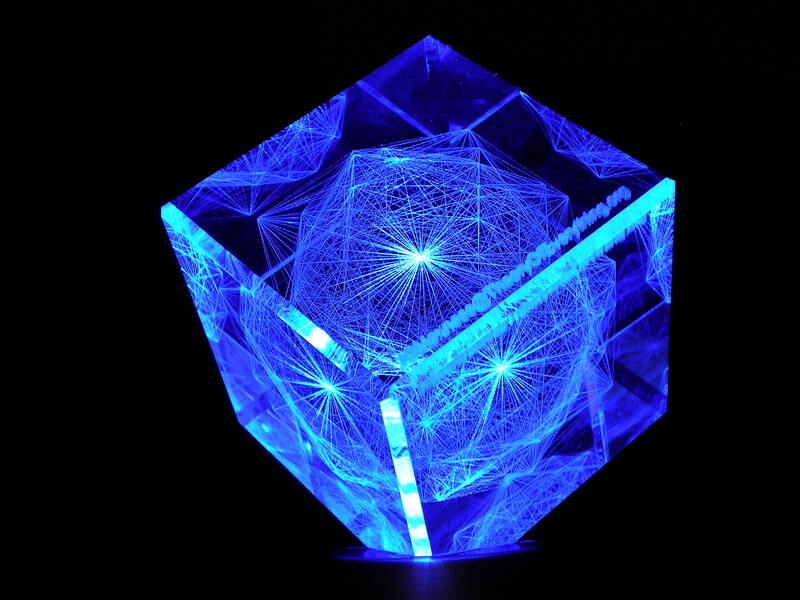 While I do have tesseract projections, the E8 projection on my home page seems most similar. 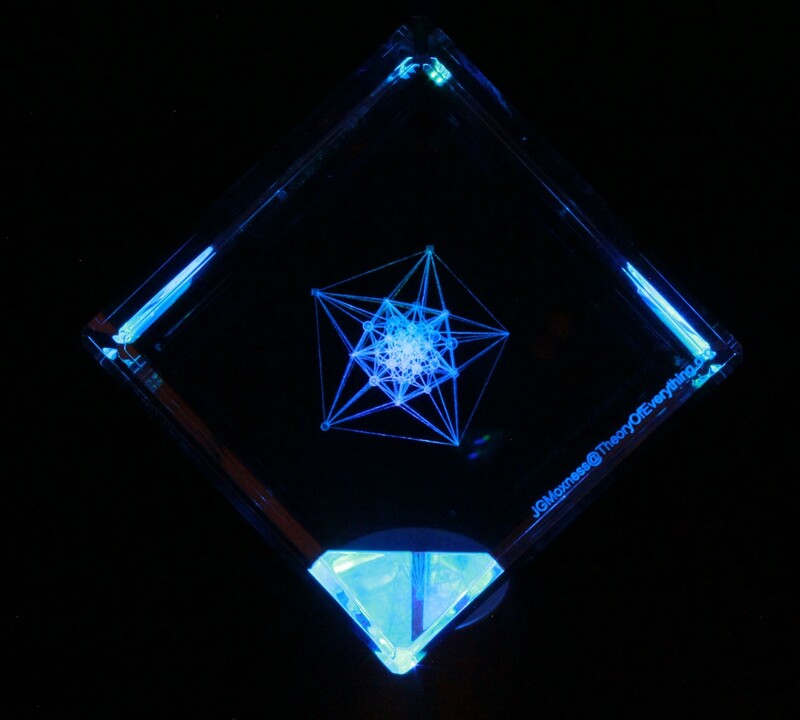 Here are a few blue crystal photos I’ve taken that are also similar.